In 2012, Sony found itself behind the pace, offering its first dual-core droids just a few weeks before the competition switched to quad-core architectures. Keen to catch up, the Japanese start the year with a bang, courtesy of the quad-core Xperia Z. 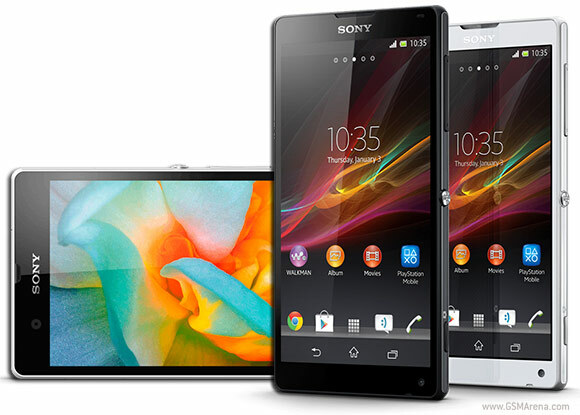 A near-identical alternative version, called Sony Xperia ZL, gladly doubles the fire power. 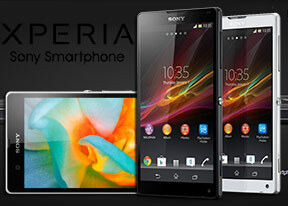 The Sony Xperia Z (previously known by its codename Yuga) is another first for Sony - the company's first 5" smartphone. The 5" LCD screen boasts 1080p resolution, which means that each inch of the screen fits 440 separate pixels. It should come as no surprise that the screen is backed by the second generation of the Sony Mobile Bravia engine for even better image quality. The list of impressive specs goes on with the Xperia Z camera - it's a 13MP shooter with improved performance over last year's flagships. The custom Sony software has been updated as well - it offers HDR mode for video, which is a first on a mobile phone. And then there's the chipset - Sony continues its partnership with Qualcomm and has picked the Snapdragon S4 Pro, which packs four Krait cores at 1.5GHz, along with 2GB of RAM and Adreno 320 (it will hardly be idle considering everything needs to be rendered at 1080p resolution). The Sony Xperia ZL will have a more limited reach than the Z and it differs in several areas: the ZL is slightly shorter and a tad thicker. There's different finish at the back and it's not water-proof like the Xperia Z. 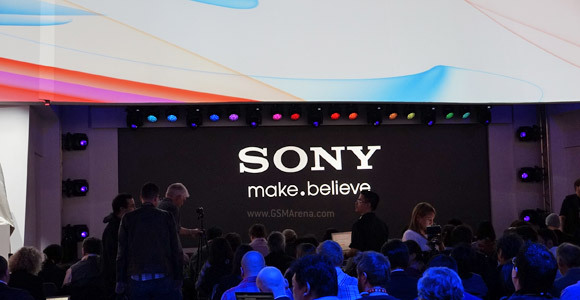 We're at our seats at Sony's press conference and hopefully we'll manage to get some quality time with the Xperia Z and the Xperia ZL, so stay tuned for updates as we go hands-on with the new Sony flagships. That's the place where you insert your sim and memory card.